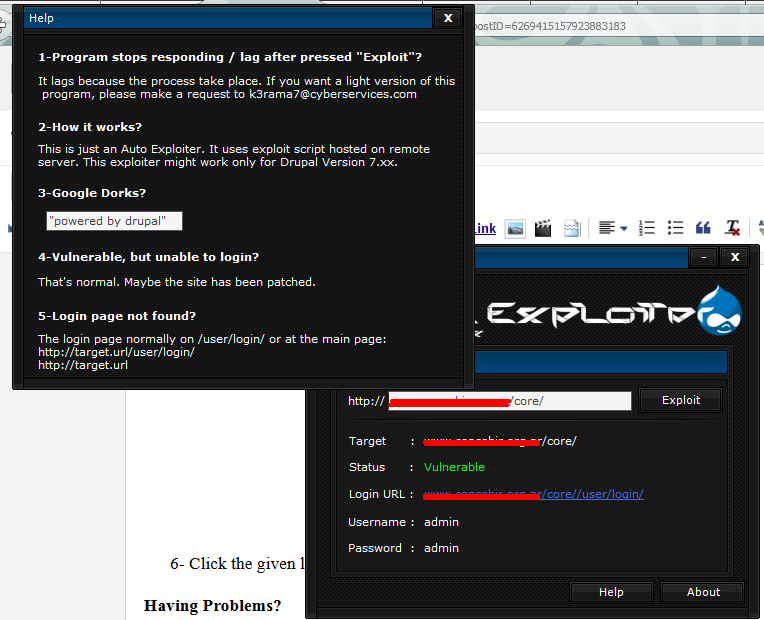 This exploit add a new Drupal administrator account (preserving original) via Sql Injection. In this tutorial, i'm just going to show you how to exploit using our Drupal Auto Exploiter since it is fast and easy. 6). Click the given login URL and login with the username and password given.